The University of Toronto’s Xiwen Gong and Jielai Zhang have been named to the inaugural class of Schmidt Science Fellows, an international program administered by the same trust that every year selects the prestigious Rhodes scholars. Harvard University is the only other institution this year to have two Schmidt fellows. The program, administered in partnership with the Rhodes Trust, provides postdoctoral opportunities to researchers – but in new research environments to encourage an interdisciplinary mindset. Gong of the department of electrical & computer engineering in the Faculty of Applied Science & Engineering, and Zhang of the department of astronomy & astrophysics in the Faculty of Arts & Science are among 14 recipients in the inaugural class. The class also includes scholars from the University of British Columbia, MIT, Stanford University and ETH Zurich. Gong (pictured left) studies strongly luminescent nanoparticles, known as colloidal quantum dots, for applications such as converting light to renewable electricity. As a Schmidt Science Fellow, she plans to apply machine learning and existing expertise in photonics and other areas to the complex problem of quantum dot composition, advancing the fields of quantum computing and optical quantum communications. For her PhD, Zhang (pictured left) focuses on understanding how galaxies grow and evolve, working with Professor Roberto Abraham on the Dragonfly project, which uses a multi-lens approach to mitigate scattered light when collecting images of previously undetectable objects in the sky. She plans to take techniques in astronomy and apply them to health care. Building on her work in imaging galaxies more than 10,000 times dimmer than the moonless night sky, Zhang hopes to leverage her engineering and data skills to improve medical imaging techniques, uncovering the physiological causes of certain diseases. In addition to the post-doctoral placement, the program will also feature five weeks of high-level courses and experiential workshops that will explore a diverse range of scientific advances, conversations with some of the world's pre-eminent scientists, policymakers and private industry leaders for immersive leadership experiences that will help them build support for their future work. These courses will be hosted by several of the world's leading universities that have partnered with the Schmidt Science Fellows program, beginning at the University of Oxford in July 2018. 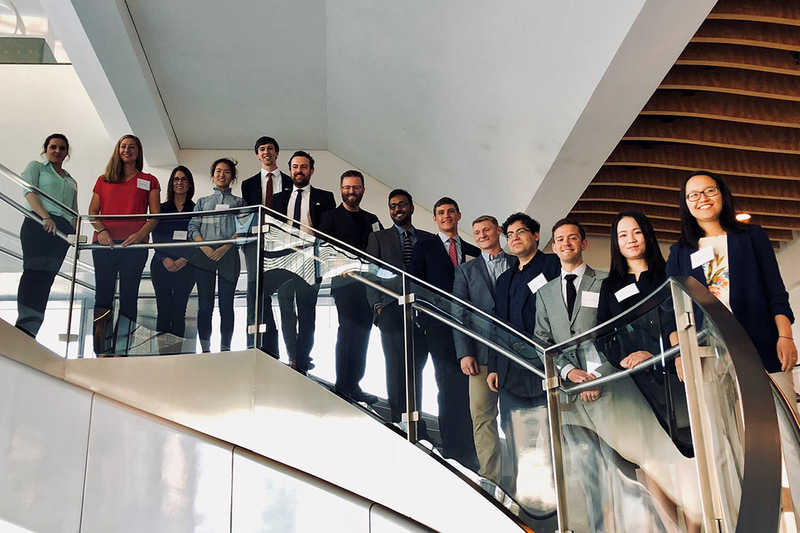 “The Schmidt Science Fellows program is truly unique in that it creates optimal conditions for creativity, innovation, and cross-fertilization across the STEM disciplines,” added Joshua Barker, vice-provost, graduate research and education, and dean of the School of Graduate Studies. Funding for the Schmidt Science Fellows program comes from Eric and Wendy Schmidt. He is the former executive chair of Google and then Alphabet, and she is the president of The Schmidt Family Foundation and co-founder of the Schmidt Ocean Institute.